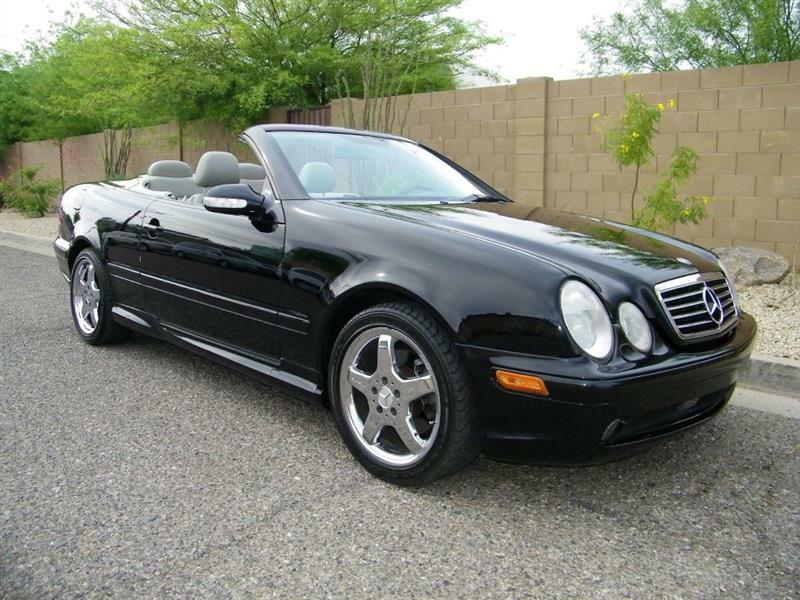 CARFAX CERTIFIED - ONLY 76K MILES - VERY DESIRABLE COLOR COMBINATION - AMG WHEELS - GORGEOUS CAR! Very sought after color combination, Black with Light Dove Gray leather and Factory Chrome wheels! Only 76,067 Carfax certified ORIGINAL miles. RUST FREE Southwest car. Garage kept. Never smoked in. No accidents. You can buy with confidence because my CLK430 comes with a Carfax buy back guarantee and a LOW PRICE GUARANTEE! The ORIGINAL Obsidian Black Metallic colored exterior is in excellent condition, there are no dents, scrapes or scratches, NOT EVEN A DOOR DING! The Dove Gray leather interior is also in excellent condition, there are no leather cracks, rips, tears, burn holes, stains or wear marks! Sounds too good to be true? Must see and drive to appreciate the stunning ORIGINAL condition. Guaranteed no disappointments. I just had this CLK430 professionally serviced and had a 125 point Certified Pre owned buyer inspection performed in my ASE certified service department, NEEDS NOTHING! I offer a 90 day BUMPER TO BUMPER warranty on every vehicle I sell. If you are looking for a fixer upper than this is NOT the Convertible for you. To view additional pictures and to get a FREE copy of the Carfax report please visit my website at AutoParadiseAZ.com or 623-516-8888. I offer a BEST PRICE GUARANTEE; I will meet or beat any competitor's price. I can help you with credit union financing if your credit score is around a 650 or higher. All vehicles are shown BY APPOINTMENT, please call 623-516-8888 or text 602-446-3851 to set a convenient time that works for you.